It was love at first sight. Ever since I saw her I couldn't stop thinking about her. I was captivated by her face sculpt with big nose, delicate chin cleft and her general sulk attitude. 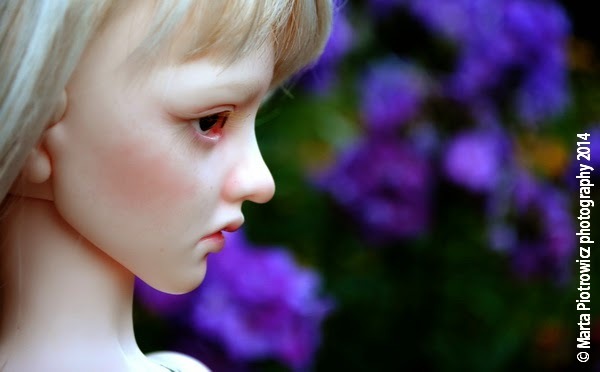 She has wonderful albino face-up by Nyo fro Dust of Dolls, with almost non-existing eyebrows, bright lashes, freckles and moles on her pouty face. I do not have a proper wig, shoes and clothes for her yet, but I can see where she's coming from, I can see her story. laser w oczach i władza ponadprogowa czy podprogowa?